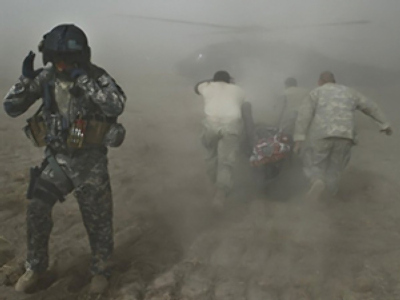 It’s been close to 10 years since the United States sent troops into the country of Afghanistan in the “War on Terror.” Nearly a decade later, more than 1,000 Americans have been killed. “Abroad our brave men and women in uniform are taking the fight to Al Qaeda wherever it exists,” US President Obama said from the Oval Office. But in taking this fight to the country of Afghanistan, since 2001, more than 1,000 of those brave men and women have been killed, and that's not counting coalition forces or contractors. On top of that, close to $278 billion has been spent. The costs in every form continue to rise. A new Pentagon report reveals violence has significantly increased over the last year. But how did the US arrive at this point? Going back to the day suicide bombers flew planes into the Twin Towers; it seemed everyone was searching for answers. The answer George W. Bush arrived at was the so-called “War on Terror,” with his eyes on one country in particular. “In Afghanistan we see Al Qaeda's vision for the world,” Bush told the American public. “The Taliban was driven from power and pushed back on its heels,” Obama recounted in a 2009 speech. A government was established under Hamid Karzai. But in the White House, eyes were taken off of Afghanistan and refocused on a war in Iraq. What happened in the meantime, led a new president to this conclusion. “While we've achieved hard-earned milestones in Iraq, the situation in Afghanistan has deteriorated,” President Obama told Americans in December, 2009. He committed 30,000 more US troops. Focus was not as much on killing militants now, as on winning the hearts and minds of the Afghan people. "What I'm really telling people is the greatest risk we can accept is to lose the support of the people here,” US General Stanly McChrystal told 60 Minutes in a September 2009 interview. 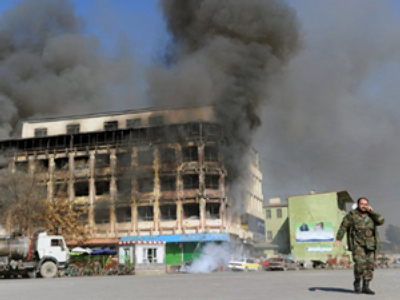 But support of the people seems more elusive than ever, with the death toll of Afghan civilians continuing to rise. “We know is a lot of families are not receiving compensation from the US for the harm suffered,” said Sarah Holewinski, executive director at Campaign for Innocent Victims in Conflict. “It’s hurt our ability to win the hearts and the minds I think it’s a national sec threat because it gives jihadism a recruitment tool,” said Jake Dilibert of Rethink Afghanistan. New benchmarks have been reached in rebuilding, with Afghanistan not only being known as the world’s largest producer of opium, but now Cannibas as well. And Al Qaeda has become seemingly more elusive, too. A credo evident now more than ever.